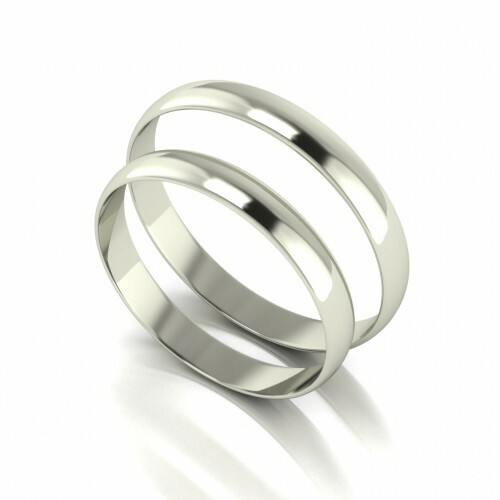 18CT White 3MM Wedding Bands Set. This deal is a part of our WINTER special offers. 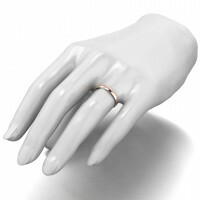 A 10% discount for buying the wedding band's as a set has been included within the total cost. Our lavish wedding band range is the perfect way to say I DO. This stylish range has something to fit every style, budget and taste. The ideal way to add a special touch to your big day. At incredibly competitive prices, this range can come in many different kinds of designs and metals. These rings are our matching 18ct White Gold "D Shape" wedding bands. They are both considered to be light weight bands and have a width of 3mm. Easily re-sizable and altered upon request. Please be aware that the price may be different for each size. Please select the size you require and it will alter the price for you. All of our bands are fully hallmarked at the Birmingham Assay Office. FREE RESIZE WITHIN THE TIME OF THE RETURN POLICY IS INCLUDED. Post and packaging does include a box. Available in a vary of different sizes. 9ct Red 3MM Light Weight D Shape Wedding Band. 9ct Red 5MM Light Weight D Shape Wedding Band. 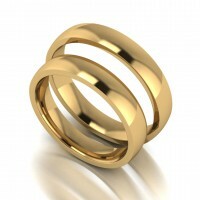 18ct Yellow 4mm Light Weight Court Shape Wedding Band Set. This deal is a part of our WINTER special offers. A 10% discount for buying the wedding band's as a ..
9ct White Gold 3mm Light Weight Flat Court Wedding Band.